Libraries in Sydney have become chic and contemporary. With features such as Free WiFi, a library in Sydney is a great hub to get out of the house to do some research and study. Libraries can also become a great work hub away from the home. 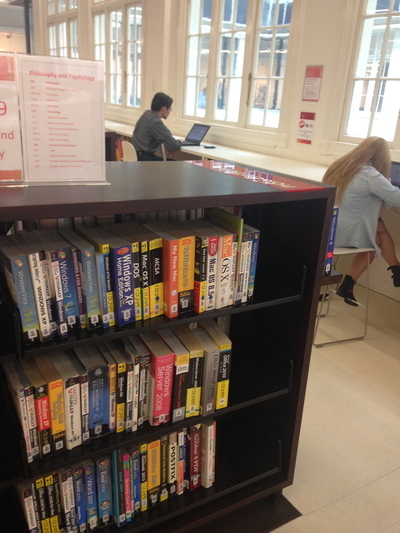 Some Sydney libraries also offer fun, community based courses. An abundance of books are always at hand, among other technologies. Libraries in Sydney also pave the way to chill out on some plush couches. Where is the best library in Sydney? I enjoy visiting Manly library, as it is small enough to navigate and has very friendly and helpful staff. There are lots of lovely cafes nearby, so you can borrow a book and start reading while you enjoy a quiet cuppa. Chatswood Library is pretty amazing. It's very big and very high-tech if you like that kind of thing. I can usually find books there that aren't at other libraries. Mosman Library is also good for all the events and activities they put on (author talks, craft sessions for kids, movie nights for teens, singalong sessions for mums and bubs). I really like the Customs House library, just opposite circular quay, especially to take friends who are visiting Sydney. I like it because I can tell them it is a great place to just sit and read when they are sick of doing touristy things, and has a coffee shop at the entrance. But also because I really like the see-through flooring over the design of Sydney- useful for pointing things out but also fun to walk over. They also have computers with free wifi access, though the last time I was there it was really slow. I'm not a borrower there because it isn't my council library, but I still like going there if I have to wait for someone. They have comfy seats in the magazine and newspaper section.